iPhone is a powerful phone with tons of features. There are so many features in iPhone that many of times you tend to forget all of them. This is the reason, we try to come up with articles featuring nifty tips and tricks so that you can take full control over iPhone and increase its usability. 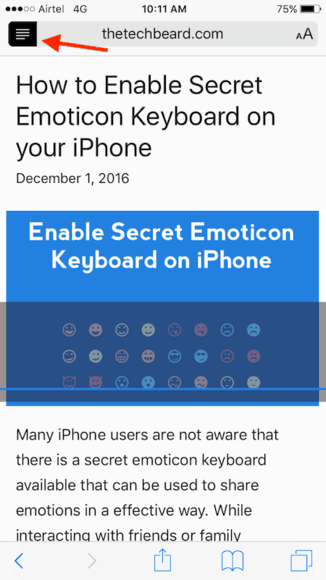 One such article which we did in the past was how to enable secret emoticon keyboard in iPhone or how to free up tons of unused space on your iPhone which got great response from our readers. Another one was a work around that will help you to create iPhone ringtones easily and many others. 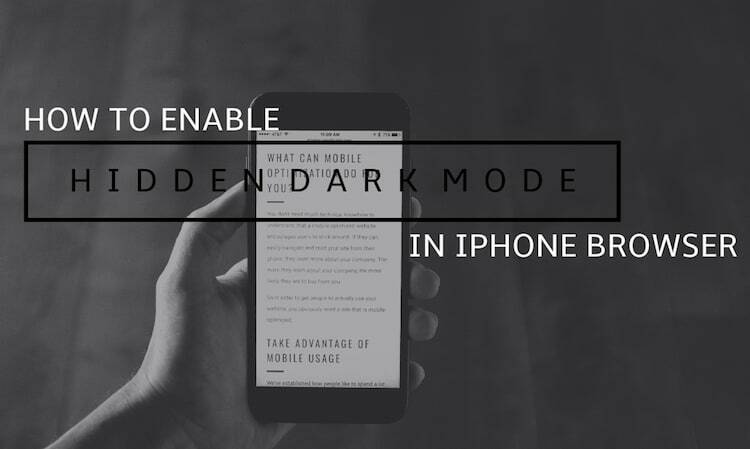 Today, we are going to talk about a hidden dark mode feature which is lying in your iPhone browser for a long time and we don’t have much idea about it. Dark mode is a hidden feature in iPhone which helps you with an amazing night viewing experience in addition to reducing eye strain that comes up with the blue light of the phone. Dark mode is there in Safari, but many people don’t know about it and we found it accidentally. This feature is really useful when you are in dark areas and do not want to give strain to your eyes. If you want to know how to enable dark mode in Safari browser, keep on reading and it will be done in few minutes. 1. Open any article on your Safari browser in iPhone or iPad. In the URL bar on the left-hand side corner, you will come across a reader like an icon, click on it. 2. Tap the aA button that is present on the right-hand side of the URL bar. After tapping on this, you will come across a drop down menu. Tap on the black circle available at the top row of the drop-drop menu. 3. 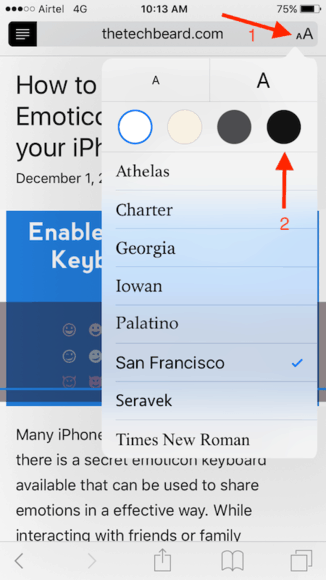 That is it, you have just learned how to enable dark mode in Safari browser on your iPhone or iPad. The content on your browser will look like the picture below. The pictures in the article would appear in the same way it used to appear. Only the rest of the page will be altered, i.e transformed into dark mode. 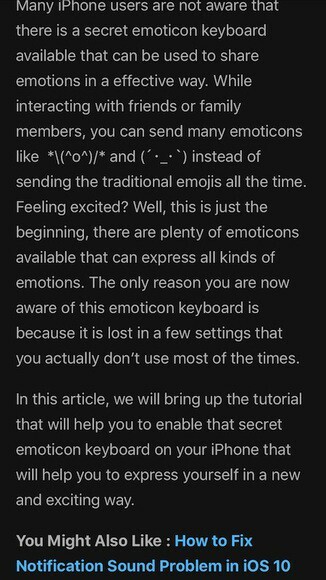 I hope you have learned the hidden trick of how to enable a dark mode feature in the iPhone browser.